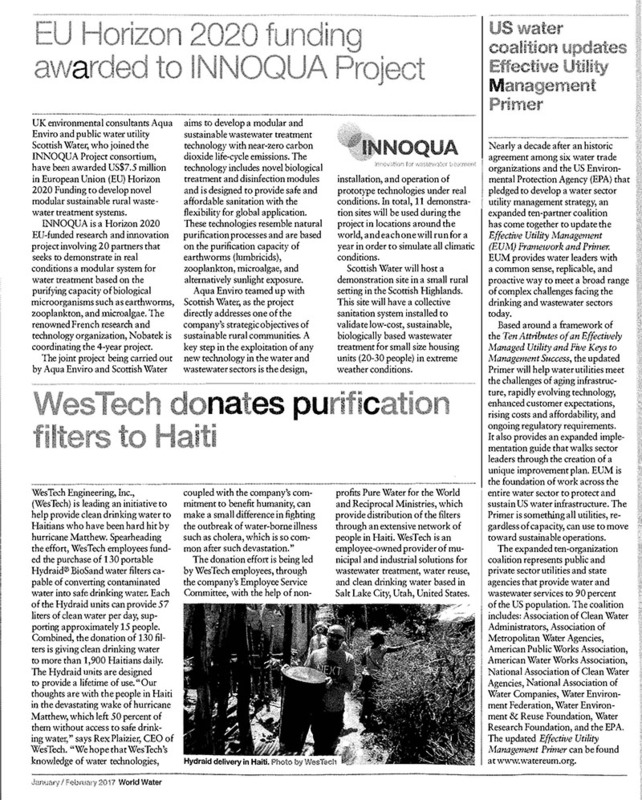 WesTech is leading an initiative to help provide clean drinking water to Haitians who have been hard hit by Hurricane Matthew. 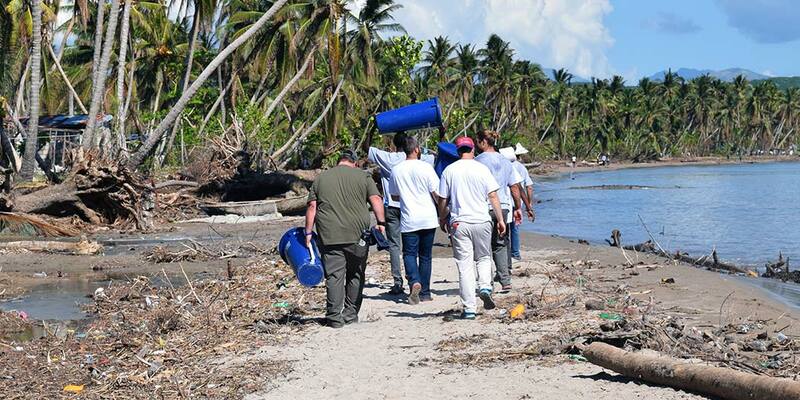 Spearheading the effort, WesTech employees funded an initial batch of 130 portable Hydraid® BioSand water filters capable of converting contaminated water into safe drinking water. Each of the Hydraid units can provide 57 liters of clean water per day, supporting approximately 15 people. Combined, the initial donation of 130 filters is giving clean drinking water to more than 1,900 Haitians daily. The Hydraid units are designed to provide a lifetime of use.